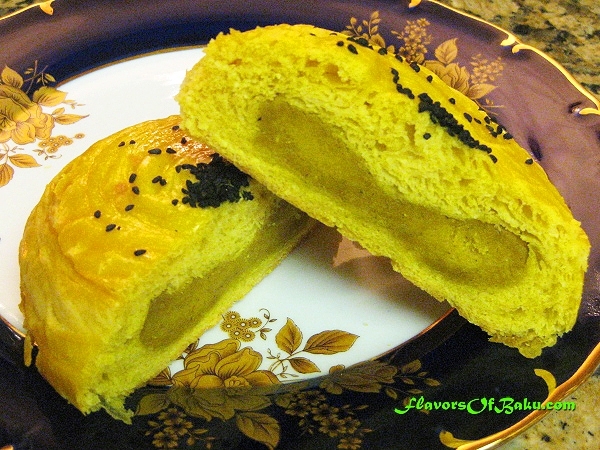 Shor-Gogal is a popular, non-sweet multilayered bun with a savory, aromatic filling. 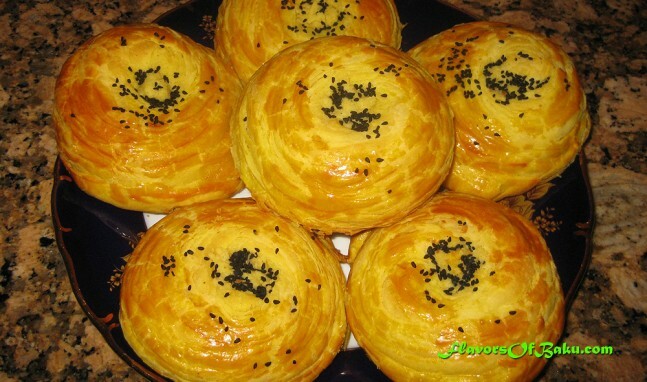 This Azerbaijani pastry prepared for the spring holiday Novruz together with sweet pastries such as Pakhlava and Shekerbura. According to tradition, the round, yellow Shor-Gogal represents the sun and the crescent-shaped Shekerbura represents the moon. Shor-Gogals are holiday pastries, but nowadays they are enjoyed year-round. 1. 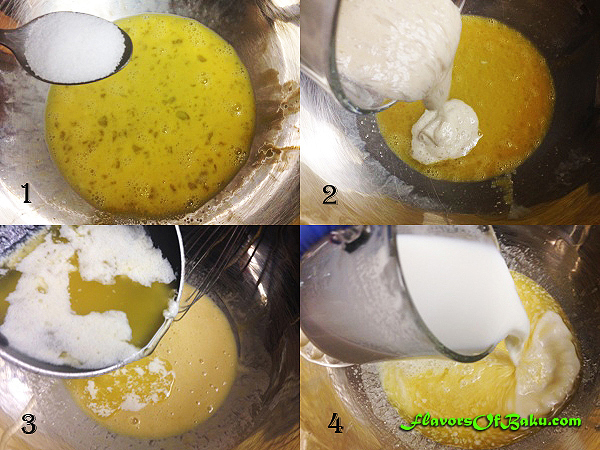 In a large bowl, whisk the egg, egg yolk and salt. 2. 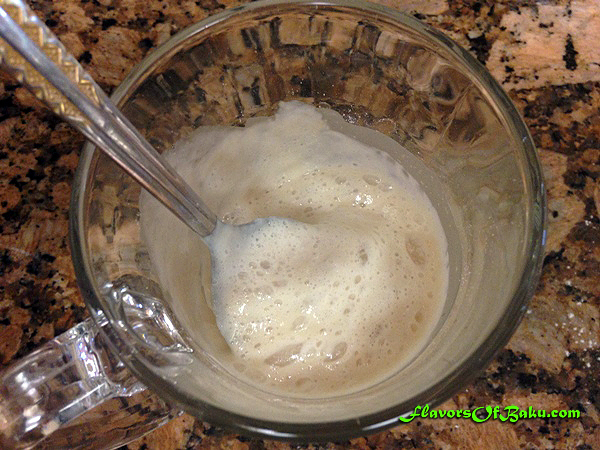 Add yeast mixture and mix. 3. Add warm melted butter and mix. 4. Add warm milk and mix it all together. 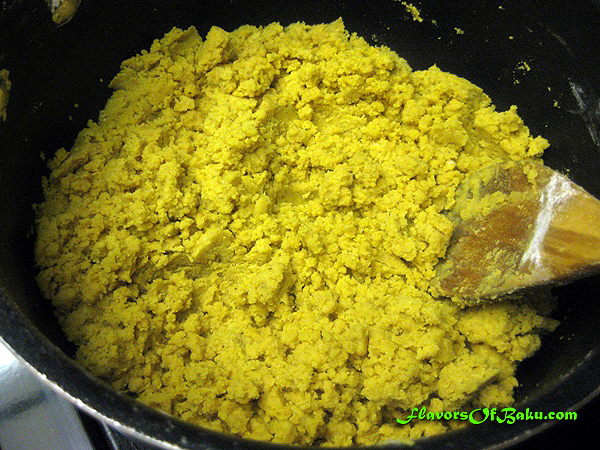 In another, separate bowl, sift the flour and turmeric. 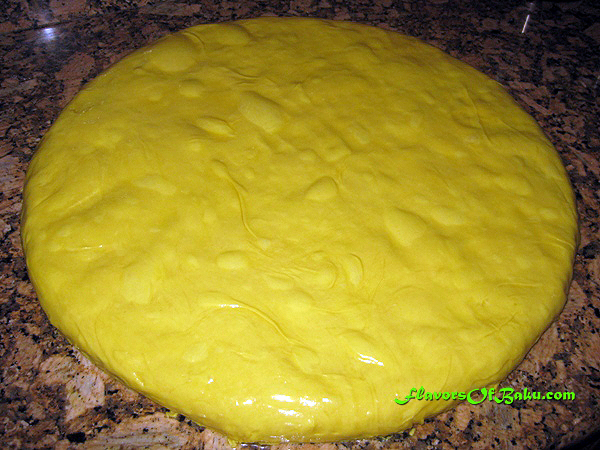 Move the dough into another clean bowl or pot, cover with plastic wrap and let the dough rise for approximately 2 hours in a warm place. 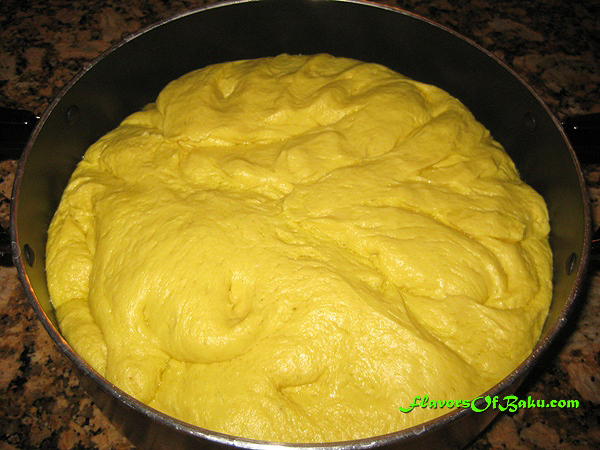 To make the dough rise more quickly, turn on the oven to 200°F (93°C) and place the bowl on top of the stove. 1. Very lightly roast the seeds in a separate pan. Grind the roasted seeds in a grinder, but don’t turn them into a very fine powder. (You can purchase ground seeds in the middle eastern grocery stores). 2. Turmeric, salt and pepper. 3. 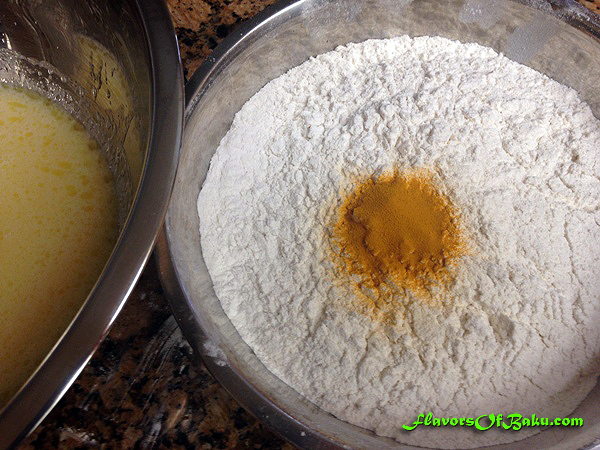 Roast the flour in a dry pan until it turns a light cream color. 4. 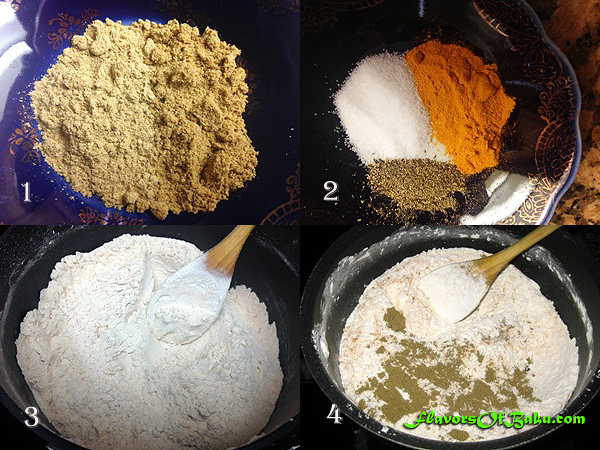 Mix roasted flour with ground seeds, turmeric, salt and pepper. 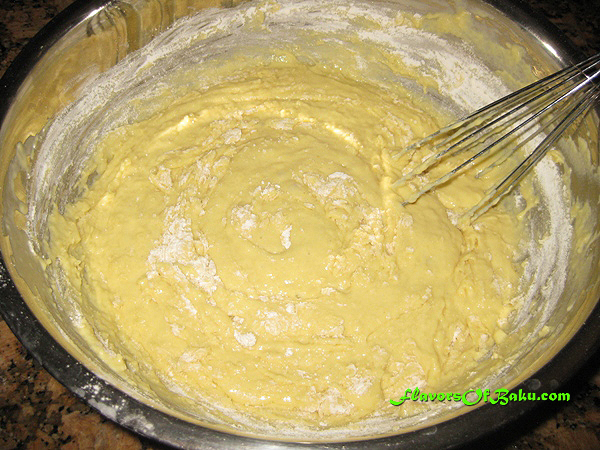 Shift dry mixture into the bowl, add melted butter, and mix the filling very well. 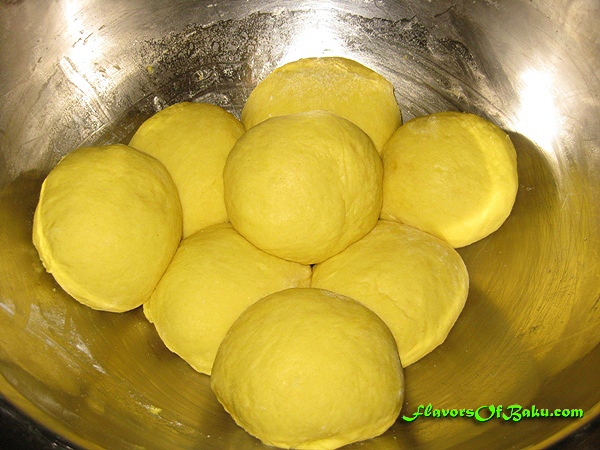 Divide the dough into equal 8 balls (when you are working with your dough, you need to add some extra flour while kneading the balls). Cover them to prevent them from drying. Roll out the first ball into a very thin layer (until it’s see-through) and gently brush with warm, melted, clarified butter. 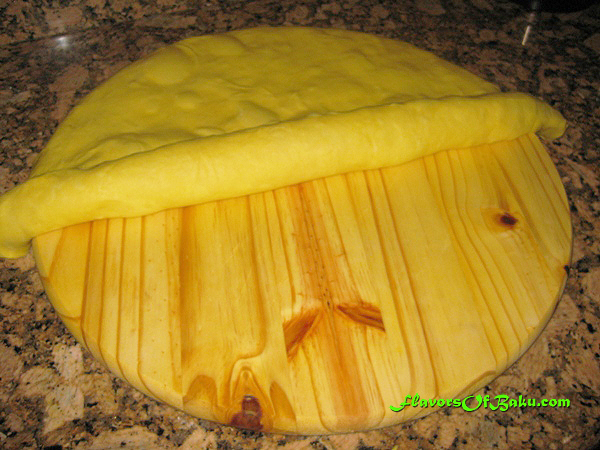 Roll out the second ball of pastry, place it on top of the first layer, and brush with melted butter again. Repeat until all the layers are used. 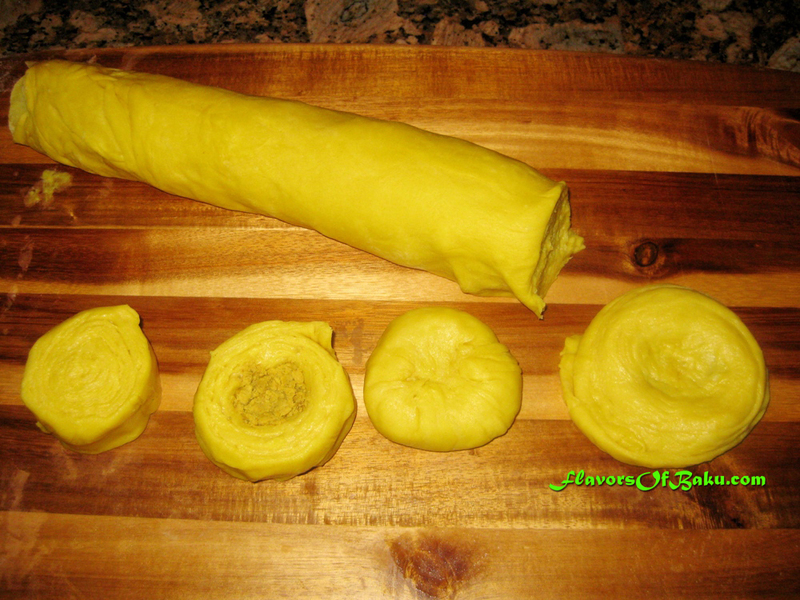 Roll all your layers together into a one tight roulade. Cut the roulade into equal 4 cm pieces. 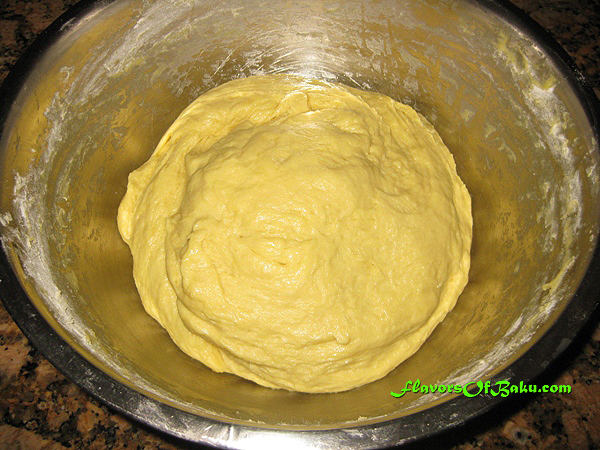 Gently open the center of each piece to form a pocket for the stuffing. Put one tablespoon of stuffing inside and bring the edges of the pocket together to close it. Turn the Shor-Gogal upside down and gently press on it with your hand to flatten it. The Gogals are now ready to bake. 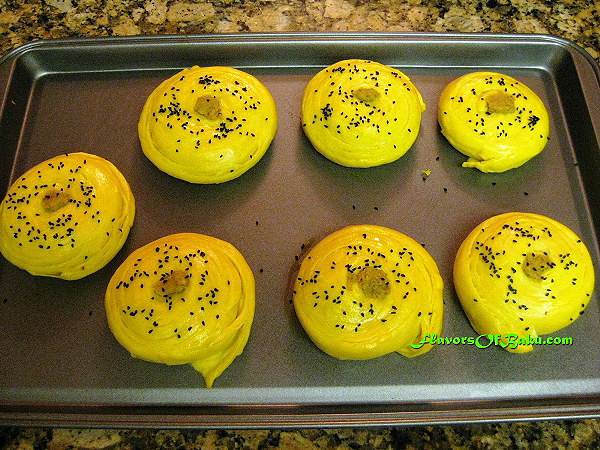 Place them on baking sheets 1 inch apart from one another and leave them for 10 minutes to rise. 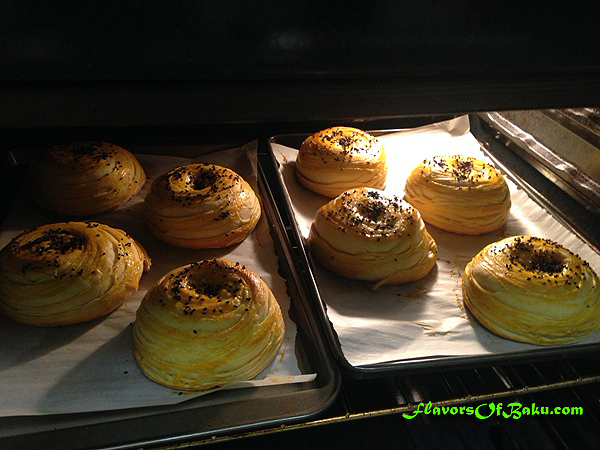 Brush the top of each Gogal with the mixture of egg yolk, olive oil and saffron infusion, and sprinkle them with seeds. Preheat the oven to 350°F (180°C) and bake the Gogals for 20-30 minutes or until they are golden brown. Remove them from the oven and let them cool down before serving them. Serve Shor-Gogals warm with a hot sweetened tea.